Our company holds specialization in manufacturing, exporting and supplying of Stainless Steel Seamless Pipes & Tubes in India. Our AISI 305 Stainless Steel Seamless Pipes & Tubes are highly demanded in the market because of their robust structure, accurate dimensions and longer life. 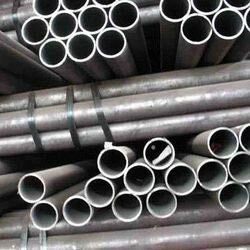 These pipes and tubes are offered at reasonable prices without degrading their quality. Buyers are free to place bulk orders and we ensure their timely execution.